In order to strengthen families, the Illinois DCFS Permanency Action Team, in collaboration with Southern Illinois Edwardsville thought it was best to examine some of the foundation of a family, starting with fatherhood. 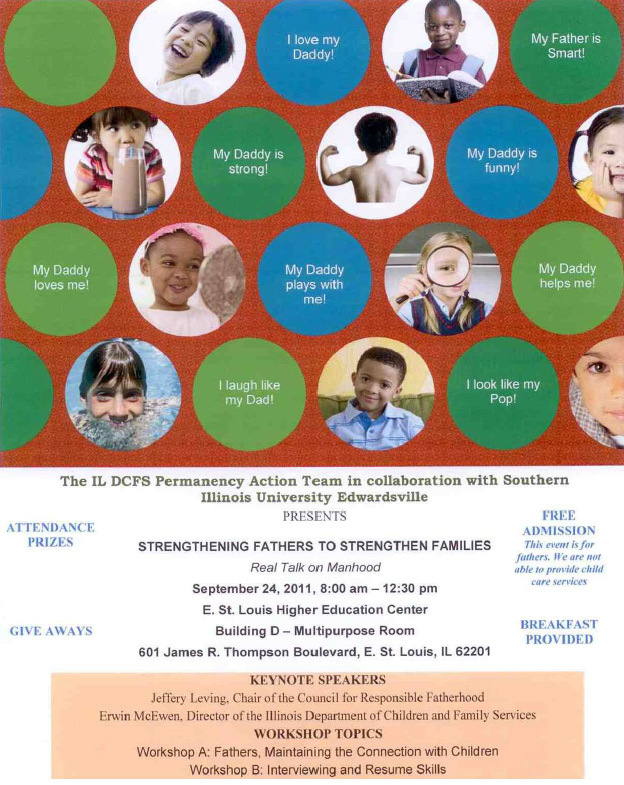 Chairman Jeffery M. Leving was asked to be a keynote speaker for the event set to strengthen families through promoting positive fatherhood. If you are interested in having Chairman Leving or other council members speak at your fatherhood-related event to help strengthen families, please contact us.